The Farthing manor house rose in front of me, stretching out into the distance. A band of police tape ringed off the perimeter. Not keeping things out, but in. "Thanks!" I ran from the kitchen, my coat flying about me; bursting through the back doors onto the back lawn, I ran faster; faster. I came up to the tall hedge that surrounded the garden and ran under it. 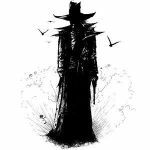 There sat Mary Farthing, in a silk night gown kneeling on the gravel path ; she held a butcher knife, a bloody one. "ma'am, please put down the knife," I asked. She didn't answer. "Ma'am?" I asked again. "Shh!" she said, " Mary, Mary, quite contrary, How does your garden grow? With silver bells and cockleshells, And pretty maids all in a row," She mumbled to herself. That's when I saw them, the maids that is, each one buried in neat rows under the flowers. You remembered that day too. The first time you flew with Jack. You remembered how magical it felt, to have the wind embracing you. Lifting you. Carrying you. To have Jack's arms around you. You remembered the way Jack had smiled at you. The way he laughed. The way his eyes seemed to dim when you two parted ways. But you also remembered his promise. "Don't worry. I'll see you soon." Deep down in your heart, you knew you would never stop believing him. 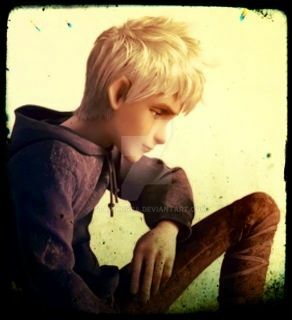 You would always believe in Jack Frost.